The Mall is a busy place; there are times of the year when you will be busy from dawn to dusk and there will be non-stop traffic. Although there will be peaks and valleys, in general, there will be constant wear and tear on the fixtures, fittings and surfaces. In order to maintain a professional image and ensure you are seen as a quality retailer, you will want to be certain that your exteriors always look clean, sharp and undamaged. There may be times when you need to completely refresh the exterior of your store in order to ensure it looks up-to-date and fresh, and you will want to let you customers know that you are still open. The flow of traffic will continue during this interim period, so you will want to select a retail barricade for the front of your store that is durable, high quality and maintains your image. Mall Wall brings you exceptional quality temporary barricades that can withstand the challenges of being situated in a busy pedestrian area. 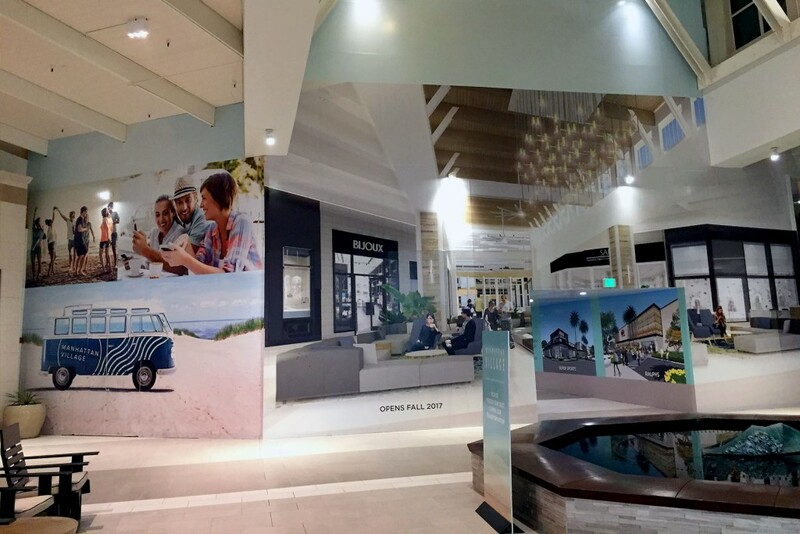 Mall Wall is dedicated purely to producing retail barricades. Manufactured to high standards and specifications, these barricades offer you the opportunity to cover the front of your store while you redesign or refurbish, while maintaining your branding and image. The design and manufacture team at Mall Wall can offer guaranteed consistency for PMS colors with G7 Master Printer Certification for every print. Every retail barricade is manufactured to ensure the customer is entirely satisfied. The last thing you need is that one week into a refurb, the color and print has come off the front of the barricade or it is wearing away. Our barricades are durable and can cope with the demands of a busy mall, giving you the assurance that your customers are kept informed while you work behind the scenes. Previous post Using Color in Retail Barricades for Maximum Impact Next post From A Distance! Can Your Customers Identify Your Business?